Probably everyone at least once in life faced a problem when a new ball, which is still two days and no breaks during the game. Well, if it's a Chinese fake, and it cost inexpensive, although in this case, nothing good. But what if you bought the leather, the fancy ball , or, even worse, it's a gift with the autograph. In such situations, the man of the hour" it is better to escape. After all, men especially value such things. But do not forget about the fact that men tend to fix such are unplanned "failure." First you need to find broken place. This can be done using soapy water. Type in the little Cup 20 grams of water add 10 grams of shampoo or liquid soap and mix well. After that, apply the solution to the place where it is suspected that hole. After application, press lightly on the ball, while in the pierced place you will see bubbles from the soap solution. Now you know exactly what point you need to seal. In order to qualitatively to seal a punctured place, it is best to let the air out of the balland, as otherwise you will be very uncomfortable, and also because of the constant flow of air, the adhesive may not in all places to set. Select glue. The best option is a money in little tubes, like "Second" or "Super glue". These options is glued the entire surface, and they are durable. The only negative is that the treated surface becomes too solid and hard, and then the join a second time defies sizing. Then buy special patches. In stores you can offer two options. The first, already coated with adhesive, and the second patch, which comes with the glue. Most believe that the first option best, but it's not. It is, of course easier, but not durable. The glue on these patches is not very high quality. But the second option allows you to choose, quality glue. The most important point is careful treatment of the place of bonding. For this it is best to use acetone. Apply on cotton this medium and thoroughly wipe the place on which you will build the glue with the patch. Otherwise, the glue may not stick to a contaminated surface. If by hand was not acetone, the surface can be cleaned with alcohol or other similar tools on its basis. You can also clean the surface using a fleecy brush, rubbing it for a long time damaged place. Final point – the sealing. Cut extra patches to around broken seats was 2 cm. Next, apply glue to the patch and on the ball, and this must be done very quickly, because the delay is not allowing the glue. After application, firmly press the taped place or put something heavy. Leave on for 10-15 minutes. Then inflate the ball and start the game! Football is one of the most popular sports, and if it can be presented without a special football uniforms on the players without the ball football makes no sense. Since during the game the balls are subjected to heavy loads from time to time they break and burst, and in this case, players have two choices – buy a new one or repair the previous one. 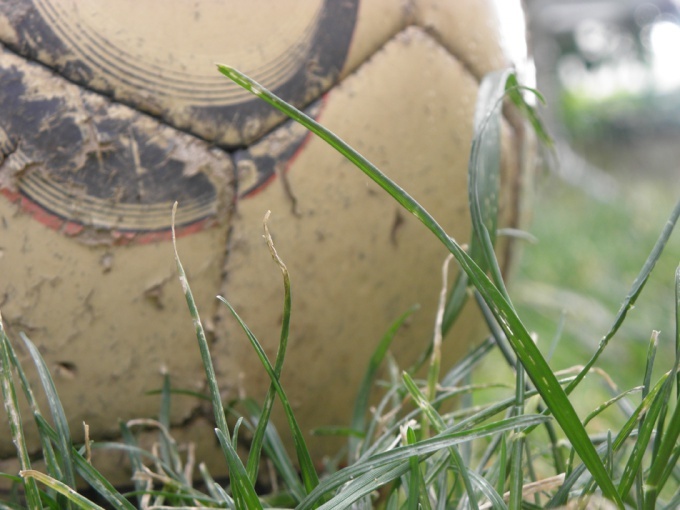 To sew a soccer ball, no need extra knowledge – you need only durable and thick nylon thread, awl and loop, elastic rolled steel strings with a diameter of half a millimeter. With the screw M5-M6 clamp both ends of the string so that the loop stays in place, and stake it on a metal rod. Bend the tip of the loop to a small hook in order to make it easier to push through holes. Now prepare the place for the seam is to determine what the pentagons of the ball are torn seams and their disposal, taking care not to damage the ball. Embroidered seams until, until they cease to separate themselves. Secure the knot near the corner of a Pentagon, tying it several times for strength and then in the hole of the knot loop of string, and having it in both holes two linked pentagons. Insert the loop through the tip of the nylon thread and drag it through the hole. Tighten the thread and tie a double knot so that it was inside the ball. Enter the loop in the two right holes and thread one end of the thread from left to right. Then insert the loop into the appropriate two holes on the left side and pull the second end of the thread from right to left. Continue in a similar way to flash the pentagons, directing the filaments crosswise relative to each other. When you dollete to the corner of a Pentagon, tighten the thread and tie it a few times. Cut the thread and tuck the knot inside a wooden stick. You are a lover of football and recently bought a new ball, but it broke. Throw it not desirable, because the ball is branded and expensive. Then try to sew it. And you will be able to drive the newly updated sports equipment on the field. Use a strong and thick thread, fit the nylon. You will need an awl and loop. Make it yourself, it take elastic steel string with a diameter of 0.4 to 0.5 mm will be Enough, two inches of metallic yarn for making the loops. Heat the midpoint of the strings on the flame and then bend it in half. Now prepare the handle loops, that would be convenient to pull the thread. Take a metal rod with a diameter of 8-10 mm and hold it in the middle of the ends of the strings. For this you will need screw M5 - M6. Pre-drill the hole for the thread. Now expand a little loop on the end to thread passed. Give the loop the shape of a small hook. And directly on the seam. 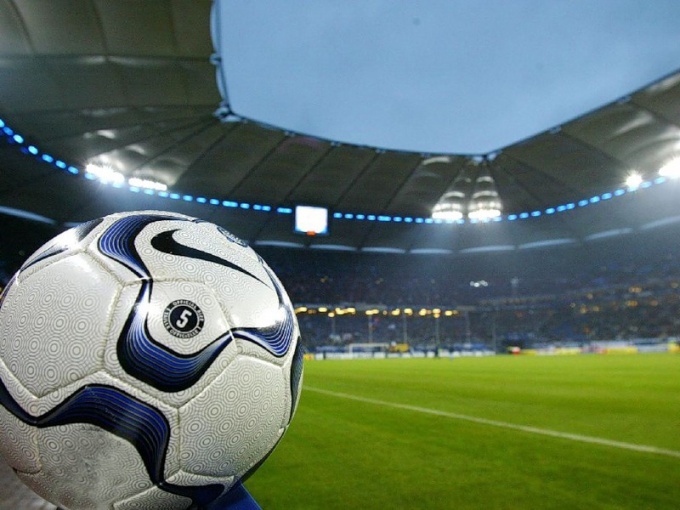 Soccer balls are composed of pentagonal patterns, which have ready-made holes for the thread. One side of the Pentagon is the single seam. To sew take about fifty centimeters of thread. Ball hemming inseam - threads should be inside. First embroidered torn seams and make sure that they do not further diverge. The knot is usually located near a corner of a Pentagon. If he went - tie it. Repeat two or three times. Now it's a hole, skip a loop. She needs to go through both holes sew pentagons. The end of the thread insert in the loop, and push it through the holes. The ends of the strands should be equal. Then tie a double knot. Tie the knot so that he was inside the ball. Then insert a loop right in the next two holes of the joint and pull one end of the thread from left to right. Drag one end of the thread and insert the eyelet into the two holes on the left seam, then pull the second end of the thread from right to left. Then, repeat this process. When you get to the corner of the Pentagon tighten the thread by pulling on the ends, and tie a knot four times. If the threads will remain for the next stitch - continue. If not cut and start sewing again. The last do not tighten the suture, and the knot push the wooden match inside the ball.